Has an Arrival/Departure Lounge, where travelers can unwind after a long flight. Personal showers and lockers in the lounge also are available to those who need to check out of their rooms before leaving the resort. Daily resort fee USD 30 plus tax will be added to rate. As of 2018, the resort fee benefits were as listed below. However, this list came from a card labeled "Resort Fees & Amenities: Elite", and it's not clear which ones are different for or apply only to elites. There's also a disclaimer: "The Resort Fee includes a variety of amenities for our guests. Please note some amenities are subject to availability." Ocean Concierge & Activities: 20% discount on weekly paddle board rental; complimentary fish identification card; complimentary introductory morning scuba lesson. Visit the 'Ohio Pools for reservations. The Movie House: complimentary movie screenings. View the weekly schedule for showtimes. 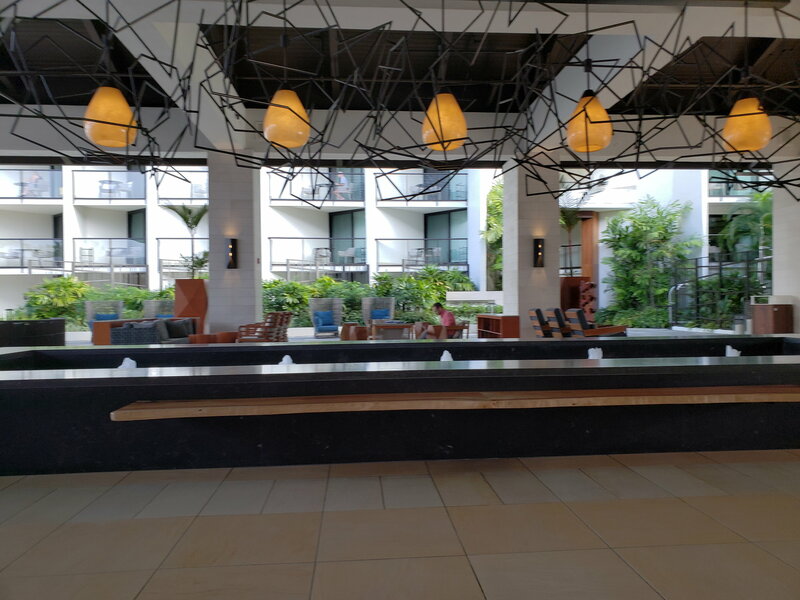 I agree and I can afford to travel to Hawaii however that is not the point, The point is Marriott in their enticing loyalty to travelers makes certain promises one of them is breakfast or a coupon for a discounted full breakfast. Exactly. It's not about whether I need a free breakfast, it's about not being cheated. Most of us don't like being cheated. UA-NYC and MasterGeek like this. Do you realize that not everyone who travels to Hawaii is wealthy? Some people have to make significant sacrifices to afford a trip to Hawaii. And yes, having to spend additional money on a breakfast could be a big deal for some. Yes, I realize this as I am not wealthy and will be traveling to Hawaii myself. But I think it’s naive to count on hotel breakfast in order to be able to afford the trip. If “cheap once we get there” vacation is the goal, Maui is probably not the best choice tbh. I have to add that internationally it does play a bigger role given the price of an American style breakfast ( hot eggs) as a non insulin diabetic it's even more important. But I think it’s naive to count on hotel breakfast in order to be able to afford the trip. If “cheap once we get there” vacation is the goal, Maui is probably not the best choice tbh. It's not naive. It's a published program benefit. There are quite a few members here who are able to take their families on fabulous vacations (including to places like Maui) only because they accrue miles and points from work travel. That's not my scenario, but I appreciate and respect it. Not sure why you're dumping on them. 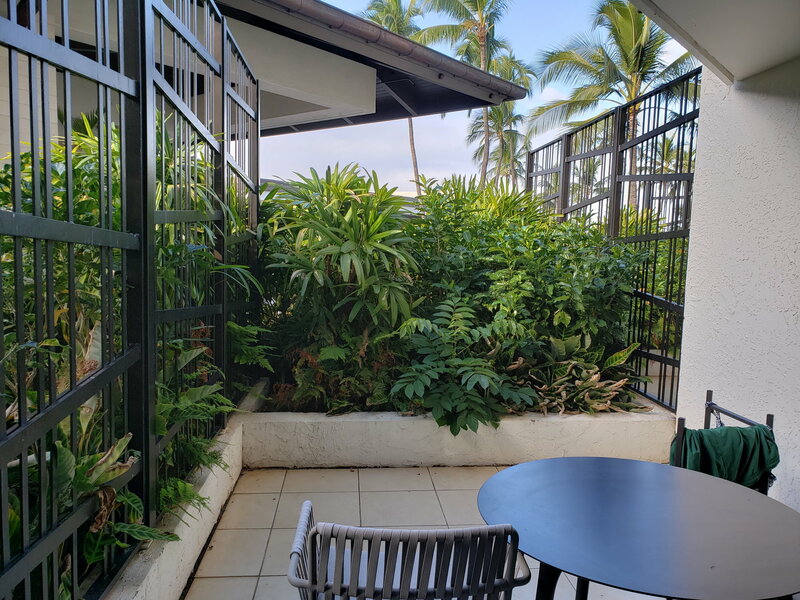 The lanais on the ground floor are considered a big upgrade. Since you are going at a busy time I would not count on any kind of upgrade particularly IF you have requested connecting rooms. The good news is this is a beautiful property no matter where your rooms are. Enjoy your stay! My husband, a lifetime PP, and I are here on the final day of a 6 night stay. This is probably the worst Marriott stay we have ever had. We had requested an upgrade months ago using SNAs since he has 10. We got an email saying they were unable to fill. Checked in online the day before the stay started. Booked a basic room so not expecting a great upgrade but hoping for at least a decent quiet room. Our patio is one of the ones behind the hedge. We had also not received our breakfast coupons. Went back to the front desk and asked why we didn't get any mention of PP status and they said because he had no MR number in reservation. Of course we pointed out this was impossible since we both requested a suite night award and checked in online. They shrugged and said "we use a different system" They added his number to the reservation and gave us coupons. They said the hotel was sold out, no better rooms. As the lobby got louder that night I got more mad. I called the PP line. They called the hotel. The hotel offered to move us to the room directly above ours. I couldn't see packing everything up for a room that was only slightly better. Every night the lobby noise goes until about 2:00 a.m. and the kids start running around outside at about 6:00 a.m..
FYI our friend, silver, checked in same day, same rate, high floor, partial ocean view. If the hotel was sold out, what did you expect them to do? Why not bump down a silver, gold or plat, who is arriving later in the evening on one of the 9 o'clock flights. We arrived at about 2, our silver friend who arrived at 5 got a better room on the same basic room rate for the same six nights. At the time you checked in, perhaps that is all they had available - and a better room became available when people checked in later. Regardless, I'm a big believer that if you desire a better room, the lesson learned is to book the better room. I've gambled and lost at some properties - and I've gambled and won big and some properties. You've come to Maui at an extremely busy time of the year. You not only have the NYE crowd extending vacations - this is a popular time of the year for sales clubs and events. DJ_Iceman and jsl_313 like this. We are on a conference rate. Every single person we know at the conference on the conference rate has a lower status and is in a better room. It sounds like they didn't take status into account with the initial room assignment, and the online check-in then locked you into a crappy room. Unfortunate they were not willing to remedy that, particularly over the course of a six night stay. I already had this property off the list due to the breakfast games. I think many of us have written this property off it almost sounds like the same management as the Hyatt Andaz down the beach. I have learned that if you want a certain type of room then book it up front, who the hell wants to be flying across the pond worrying about ones room? Not me, too old and cranky. Hindsight is 20/20 but if I had walked into that room taken a look would have turned around and asked for MOD and nicely informed him that this room was unacceptable and I have done that, and in five star hotels, did that at the Park Hyatt Vendome have done it at other Marriotts as well. If you have high status then you have the right out of loyalty to get something better than a standard garden room. This property has changed a lot in the past 10 years and not for the good. Different strokes for different folks but I don't understand why you all spend so much energy worrying about room types. You guys are in Hawaii. I hope to God you aren't spending most of the time in the room. Get out and explore nature people! Even when at the hotel, I'll be in the pool or on the beach (at the Grand Wailea), not in my room unless I'm sleeping.